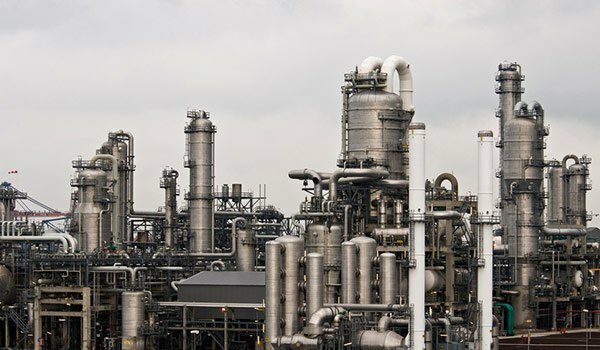 The petrochemical industries employ a very complex set of equipments that are not only very expensive, but also exhibit quick wear and corrosive tendencies. A&A Coatings has developed a set of thoroughly dependable coating solutions to allow the best protection against chemical reactions and reagents that are detrimental to the surface of the components. Our innovative and unique coating services for the petrochemical, oil and gas industry revolve around the coating processes through which we carry out the thermal spray coatings for different applications. The most commonly used types of coatings for the petrochemical industry are carbide coatings. The composition of carbide coatings come in the form of ceramics and metals (commonly referred as cermets). The wear resistance and hardness provided by cermets is comparable to that of sintered carbide components like carbide metal tools. An especially effective coating that is particularly instrumental in wear resistance is tungsten carbide. It has high resistive properties against both corrosion and extreme temperatures up to 650°C. With a highly qualified work force, quick turnaround time and high competitive pricing, A&A Coatings is one of the strongest industry leaders for thermal spraying services in the United States. We have strong industry experience over the last 70 years in serving the petrochemical industries and our engineers are continuously into experimentation and developing new coating methods for the petrochemical industry. To find out the full range of our capabilities for your petrochemical business, do contact us today.